Madeira is a fortified wine that depends upon heat and evaporation to create consistent long lasting styles. The must is fortified, either to arrest fermentation for a Malmsey or a Bual, or later in the fermentation process, in the case of Sercial or Verdelho before undergoing its own very special maturation. The Canteiro process is employed for all 10 and 15 year old Madeiras from H&H where the wine is heated naturally in barrels over some months to enhance concentration and consistency of the wine. Malmsey produces a rich sweet style whilst still exhibiting delicious mouthwatering acidity. Brilliant amber colours with golden hues. Complex aromas of dried fruits, raisins and figs. Serve with chocolate and coffee. Madeira should be cellared upright. It loves light, heat and air, but hates frost. 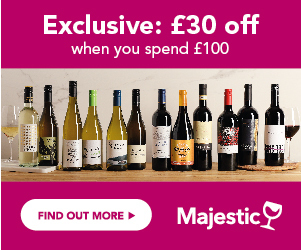 Sorry, we don't have any reviews of Henriques and Henriques Malvasia 15 Year Old 50cl yet. If you've bought it, why not tell us what you think below? Waiting for a good deal on Henriques and Henriques Malvasia 15 Year Old 50cl? Enter your email address below and we will email you when it's on offer at 25% off or more! The Wines Direct Price Alert is a free service. In return, we just ask you to write a short review of Henriques and Henriques Malvasia 15 Year Old 50cl to help other customers learn about it.